Notes: This set does have crazing on most of the pieces. There are a couple of pieces with small chips. 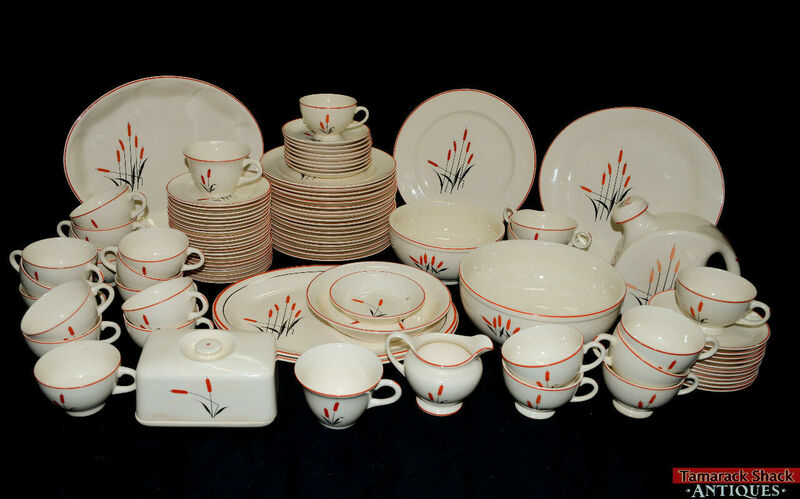 For your consideration is this lot of Universal Cambridged China Set. It is in the pattern of Camwood Ivory Cattail. Please look below for the pieces, sizes, and condition of the pieces. Please see the pictures for more details. 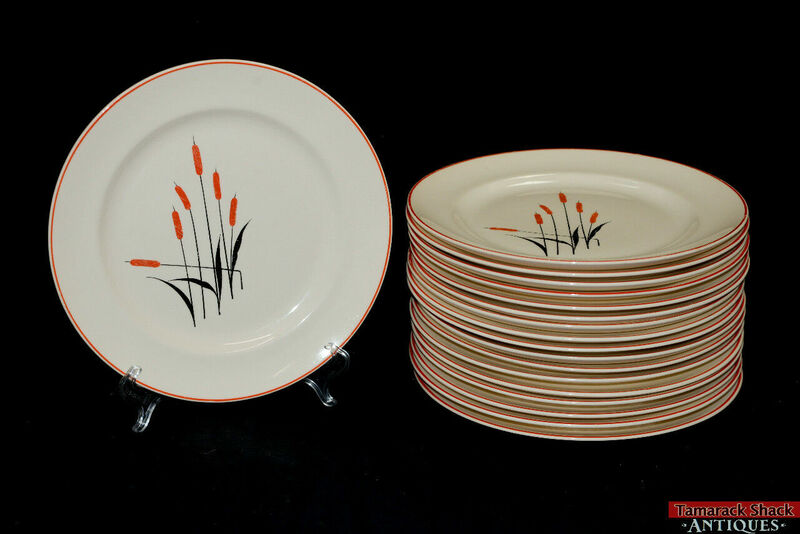 22 Bread & Butter Plates – These measure about 6 1/4″ diameter. 13 of the saucers do not have any crazing. 9 of the saucers do have crazing. They have wear to the paint mostly around the edges. 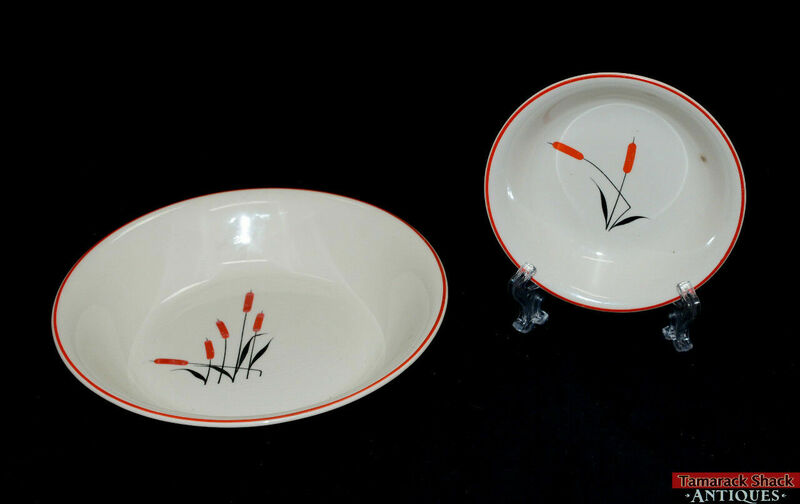 1 Serving Platter – This measure about 13 3/8″ long x 10 1/4″ wide. This has crazing and does not have any chips, cracks, or flea bite marks on it. There is some wear to the paint. 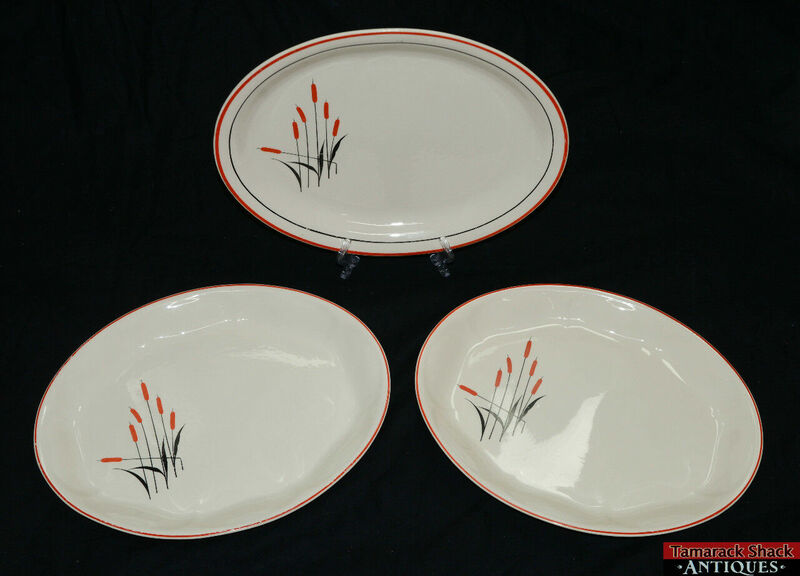 2 Serving platters – These measure about 13 1/2″ long x 10 5/8″ wide. These have crazing and do not have any chips, cracks, or flea bite marks on them. These have some wear on the paint. 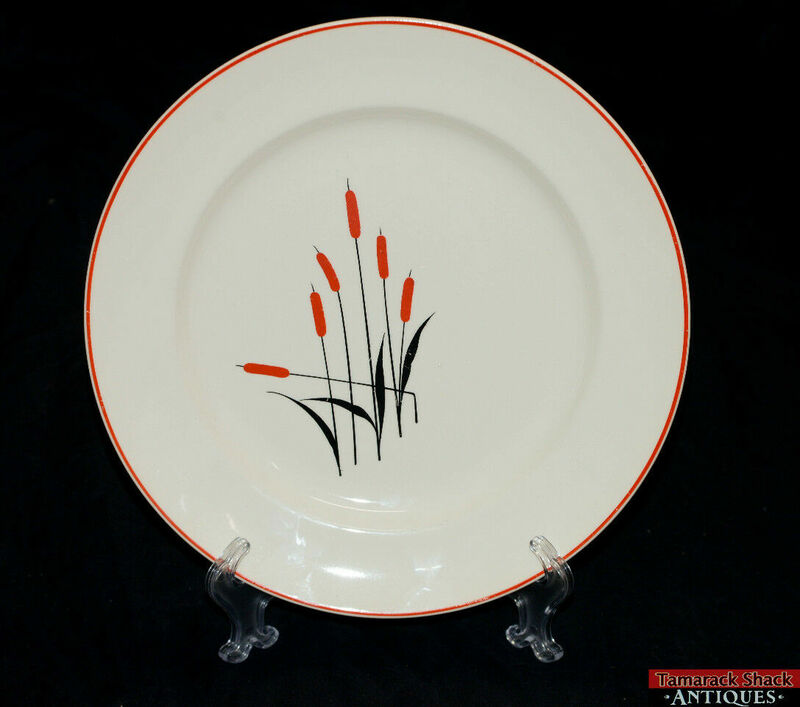 1 Platter – This measures about 11 5/8″ long x 10 1/4″ wide. This platter does have crazing. 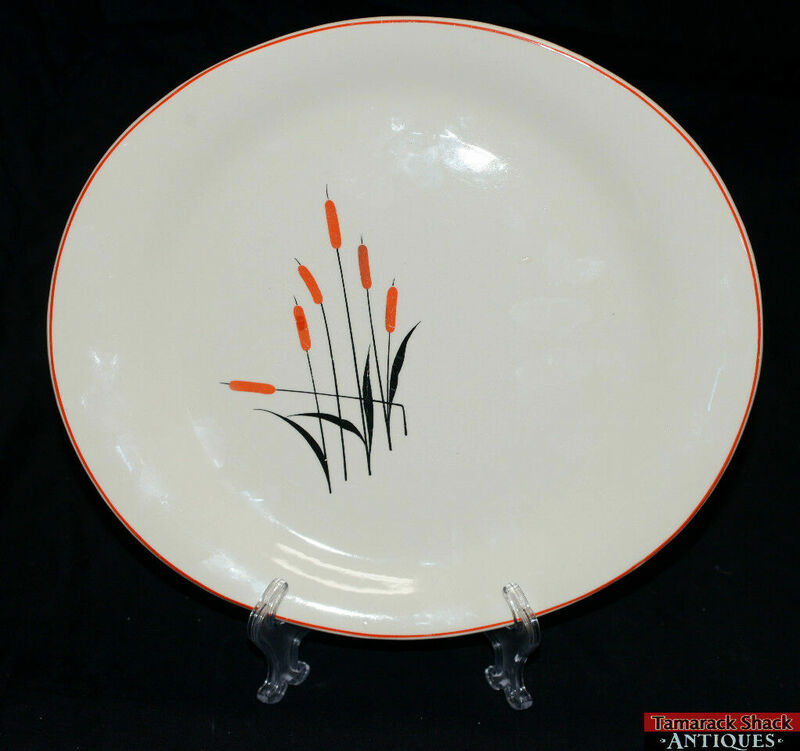 1 Dinner Plate – This measures about 10″ diameter. This place does not have any chips, cracks, or flea bite marks on it. 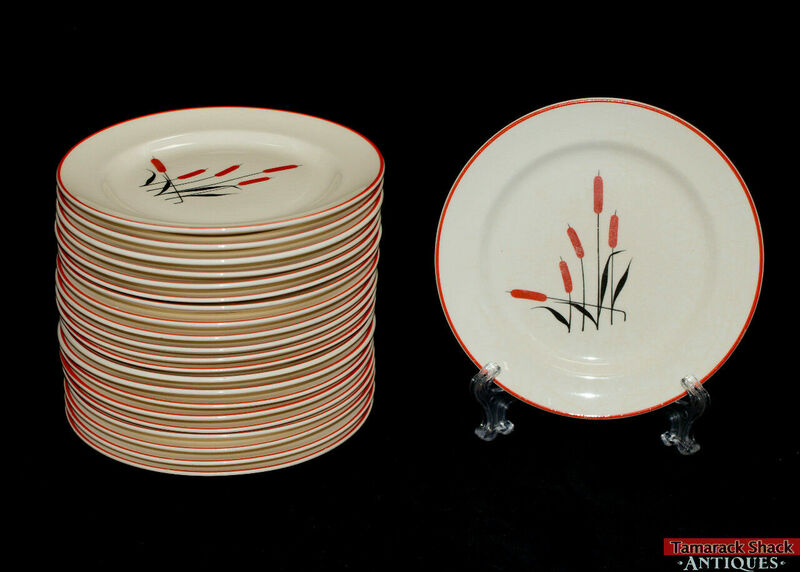 18 Luncheon Plates – These measure about 9 1/4″ diameter. 13 of the plates have crazing on them. 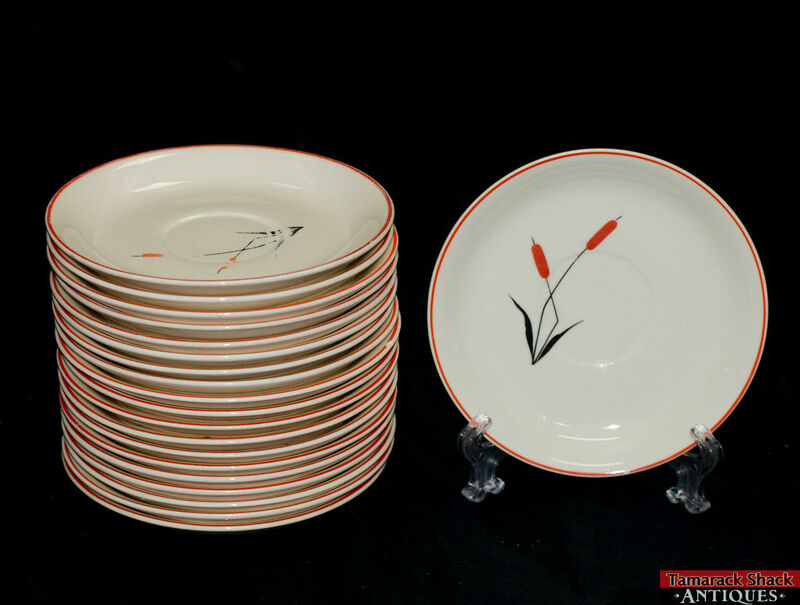 5 of the plates do not have any crazing on them. 1 Canteen Jug – This measures about 7 1/2″ tall at the tallest point x 7″ long x 3″ wide. This item does not have any chips, cracks, or flea bite marks on it but it does have crazing on it. 20 saucers – These measure about 5 3/4″ diameter. 3 of the saucers do not have any crazing or chips, cracks, or flea bite marks. 13 of the saucers have crazing and do not have any chips, cracks or flea bite marks. 3 of the saucers have flea bite marks on them and 1 has a small chip on it. They do have wear to the paint. 1 Fruit/ Dessert Bowl – This measures about 5 1/4″ diameter x 1 1/8″ tall. This does have some crazing on it but it does not have any chips, cracks, or flea bite marks on it. It does have a glaze pop on it which has caused some discoloration. 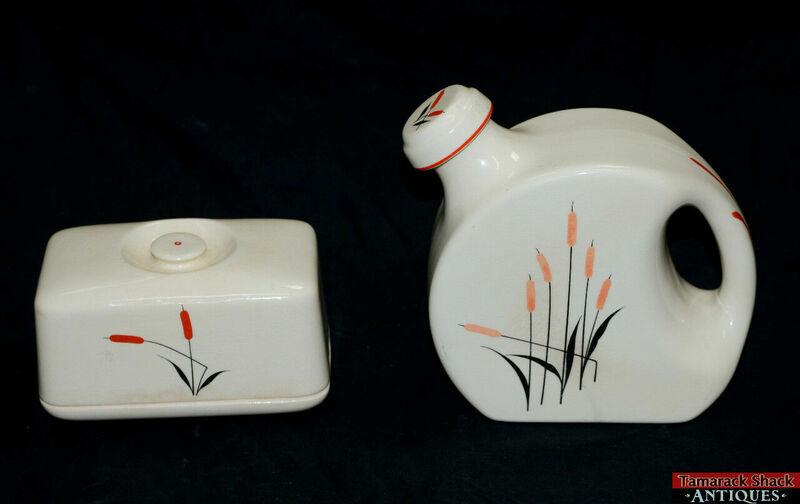 1 Covered Butter Dish – This measures about 3 3/4″ tall with the lid on x 69 1/4″ long x 3 3/4″ wide. This does have crazing on it and discoloration on it. There is no maker mark on the bottom of this piece. There is a small chip on the inside on the base. 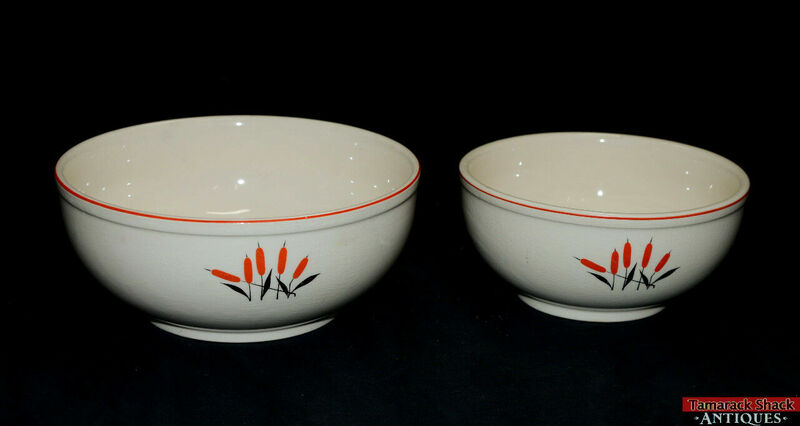 1 Coupe Soup Bowl – This measures about 7 7/8″ diameter x 1 5/8″ tall. This bowl does have crazing, but it does not have any chips, cracks, or flea bite marks on it. 1 Mixing Bowl – This measures 7 3/8″ diameter x 3 1/2″ tall. This does not have any chips, cracks, or flea bite marks it it. It does have crazing on it. 1 Mixing Bowl – This measures about 8 7/8″ diameter x 3 7/8″ tall. This does not have any chips, cracks, or flea bite marks on it. It does have crazing on it. 1 Creamer – This measures about 4 3/4″ tall x 5″ diameter from handle to spout x 3 5/8″ diameter. This does not have any chips, cracks, or flea bite marks on it. This does have crazing on it. 7 Cups – These measure about 2 1/2″ tall x 4 1/2″ diameter from handle to side x 3 5/8″ diameter without the handle. 3 of the cups do not have any crazing. 2 of the cups have crazing. 2 of the cups have crazing and a small chip on the base. 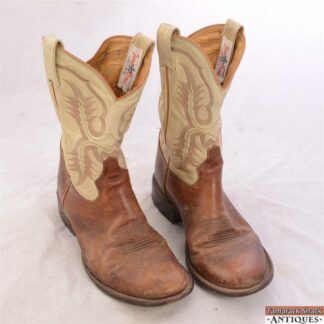 They do not have a maker mark on the base of them. They have some wear to the paint. 16 cups – These measure about 2 1/4″ tall x 4 1/2″ diameter with the handle x 3 3/4″ diameter without the handle. 10 of the cups do not have any crazing, 3 of the cups have crazing, 2 do not have crazing but does have a small flea bite mark on them, and 1 does not have crazing but does have a small chip on the edge. They do not have a maker mark on them. 2 Cups – These measure about 2 1/8″ tall x 4 7/8″ diameter with the handle x 4″ diameter with the handle. 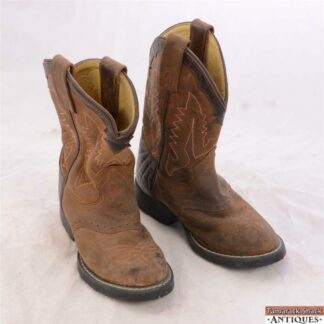 These do not have any chips, cracks or flea bite marks on them. They do not have a maker mark on them. 2 Cups – These measure about 2 3/4″ tall x 4 3/4″ diameter with the handle x 3 7/8″ diameter without the handle. They do have crazing on them but they do not have any chips, cracks, or flea bite marks them. They do not have any maker marks on them.